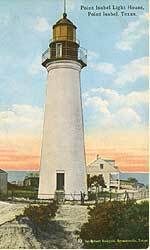 The Port Isabel Lighthouse has long been a dominant feature at the southern tip of the Texas Gulf Coast. Its heavy brick walls have stood against the elements for more than a century, and for most of that time, its light has been a familiar aid to seafarers. This area, long known to coastal Barrado Indians, was discovered by the Spanish explorer Pineda in 1519 while on a mapping expedition of the Gulf shores. Spanish control was established here in the late 1700s, as ranchers began moving into the vicinity from Mexico. By the 1830s a small settlement El Fronton de Santa Isabella, served as headquarters for a large Mexican ranch owned by Don Rafael Garcia. The Point Isabel region passed almost uneventfully through the period of the Texas Republic to statehood, but it gained widespread attention in 1846. In late April, General Zachary Taylor moved his troops into this area north of the Rio Grande when hostilities between the United States and Mexico seemed imminent. Within two weeks war had begun. The opening battles of Palo Alto and Resaca de la Palma were fought north of present-day Brownsville. Point Isabel received the wounded form these initial struggles and served as an American supply depot for the duration of the war. The point continued in use after the war to supply two military stations on the Rio Grande–Fort Brown and Ringgold Barracks. 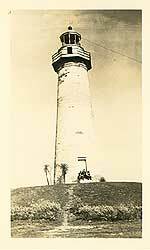 Because of the heavy shipping traffic through Brazos Santiago Pass to Point Isabel, a navigational light became a necessity. 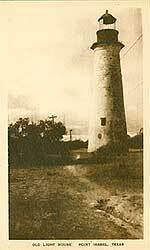 Land at the point was made available by the War Department, money was authorized by Congress, and construction of a lighthouse was underway by 1851. Two years later, the brick tower had been completed and was topped by a stationary white light that could be seen for almost 16 miles. The Civil War brought armed conflict once again to Point Isabel. Confederate forces held this area in the early stages of the war but gave way in 1863 to Federal troops who were sent to strengthen the blockade on Southern shipping. Both sides used the lighthouse as an observation post. At nearby Palmetto Ranch, Union and Rebel soldiers clashed on May 13, 1865, more than a month after General Robert E. Lee’s surrender at Appomattox, in what has since been acknowledged as the last battle of the war. 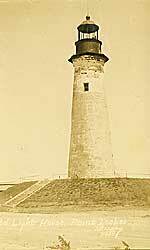 In 1866 the lighthouse was repaired and relit. For the next two decades its beacon guided large numbers of commercial vessels to southernmost Texas. The light was extinguished between 1888 and 1894 during negotiations over ownership of the site; when finally reactivated, its years of service were numbered. The lighthouse was abandoned permanently in 1905 after shipping traffic declined. And although the coast was later active with defense measures during the two world wars, the tower at Point Isabel stood a dark watch. 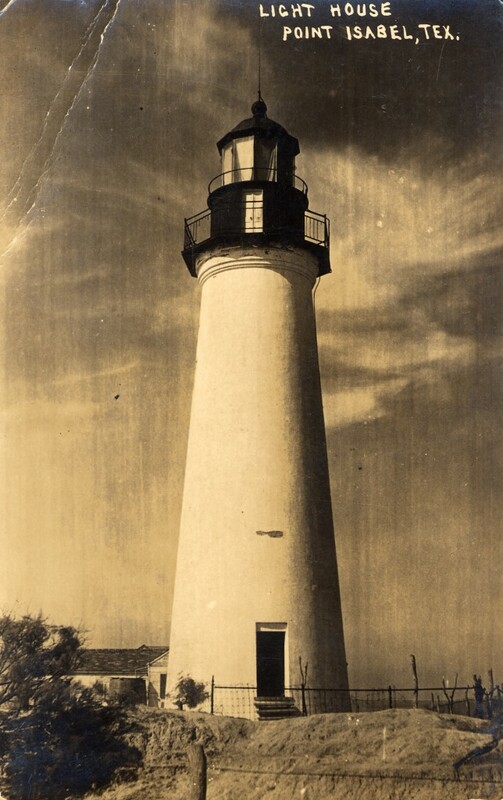 The lighthouse and its associated buildings were donated to the state in 1950 as a historic site by Mr. & Mrs. Lon C. Hill, Jr. and the Port Isabel Realty Company. The State Parks Board remodeled the tower by replacing the iron platform with concrete and by raising the glass dome to provide easier access for visitors. Additional repair work by the Parks and Wildlife Department (TPWD Point Isabel Lighthouse flyer) was completed in 1970. At present, the tower with its mercury-vapor light is marked on sea charts as an aid to navigation. 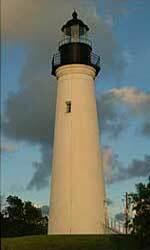 Of sixteen lighthouses constructed along the Texas coast, Port Isabel Lighthouse is the only one now open to the public. Hours of Operation: 9 a.m. to 5 p.m., daily (weather permitting). Summer hours are extended to 8 p.m. Tickets may be purchased in the Lighthouse, the Keepers Cottage (Chamber of Commerce & Visitors Center), the Treasures of the Gulf Museum and the Port Isabel Historical Museum. Admission: Adults ($4.00); Seniors ($3.00); Students with id ($2.00). Last ticket sold 1/2 hour before closing.